Commemorate 237 years of history at the birthplace of Santa Barbara, El Presidio de Santa Bárbara State Historic Park. Celebrate the history of Santa Barbara at the Founding Day Festival, featuring Presidio Neighborhood businesses and local entertainment in the heart of downtown. Enjoy a reenactment of the original Founding Ceremony held in 1782 and other family activities across the Presidio grounds. 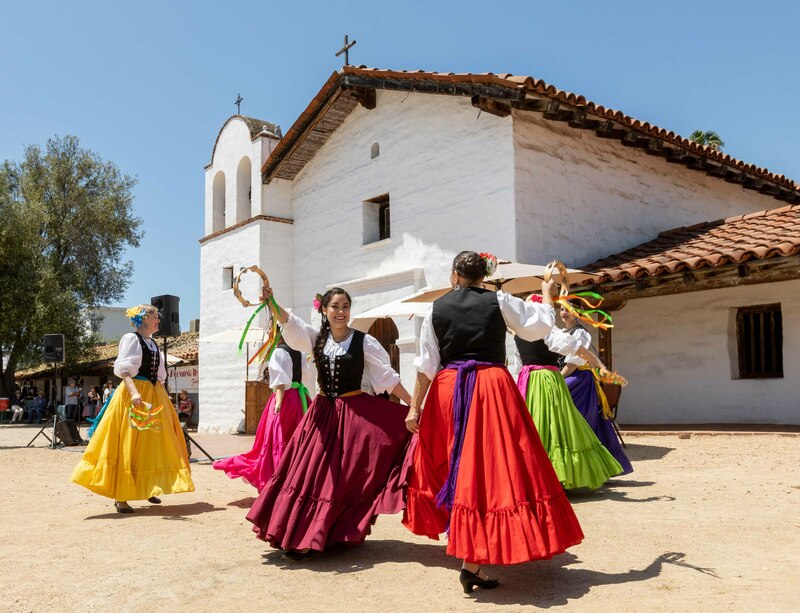 This free event begins with a community prayer service in front of the Presidio Chapel honoring the founding families, followed by an outdoor Founding Day program featuring Los Soldados del Real Presidio de Santa Bárbara, early California dance and musical performances, and the presentation of Saint Barbara 2019 by the Native Daughters of the Golden West, Reina del Mar Parlor No. 126. Following the ceremony, enjoy an afternoon of living history stations, stage performances, and tours that focus on the history and culture of California. Converse with living history demonstrators and experience life in Santa Barbara as it was during the late-1700s through heritage gardening, colonial cooking, pottery making, Chumash storytelling, archaeology, and more. Enjoy performances by local musicians, artists, and dancers. Walk through the neighborhood with a docent-led tour of historic Chinatown or see the permanent Japanese exhibit, Nihonmachi Revisited.